Homelessness, public housing, rent regulations and the mayor’s affordable housing plan are sometimes discussed separately. But in reality, and in the mix of policymaking likely to occur in 2019, those borders blur. John Lindsey, another Rochester resident, says he has been living in horrible conditions in his building. He claimed his landlord allowed the property to turn into a wasteland and wants landlords to be responsible for creating healthy living conditions for residents. Nearly a million apartments in the city and several thousand in other urban areas in the state are under rent stabilization, which limits annual rent increase to the guidelines passed by a local board–in the city’s case, the Rent Guidelines Board. Rent-stabilized units are seen as a key bulwark against displacement, but tens of thousands of these apartments have disappeared from the program under changes in state law in the 1990s. Four features of the rent-stabilization system have been in the spotlight in recent years. One is high-rent or high-income vacancy decontrol, by which a rent-stabilized unit leaves the program if its rent exceeds $2,700 or the tenant-household’s income exceeds $200,000. Another is the vacancy bonus, which allows landlords to boost rent by 20 percent every time a lease changes hands. A third is preferential rent, which is when an owner charges less than the legal rent–creating the threat of a sudden, massive increase in rent far larger than the year-to-year increases approved by the Rent Guidelines Board. Finally, major capital improvements (MCIs) are when property owners increase rents, ostensibly based on the costs of improvements or installations to a building: Tenant advocates say these increases often end up generating far more revenue–at the tenants’ expense–than the actual MCI cost. A related issue is Individual Apartment Improvements, through which a landlord is allowed to boost a single unit’s rent because of work done there. In August, during Cuomo’s primary gubernatorial campaign against Cynthia Nixon, housing became an important platform element for both candidates. Nixon’s campaign promised to push for universal rent control and abolish major capital improvements, vacancy decontrol and bonuses, and to strengthen tenant protection programs. While Cuomo points with pride to his housing record, tenant advocates have not always been happy with his leadership on rent regulations during the two renewals that occurred during his first (in 2011) and second term (in 2015). But the State Senate has always been the bigger stumbling block to tougher rent regulations. Now that the Democrats control the governorship and both houses of the legislature, advocates hope for sweeping change. 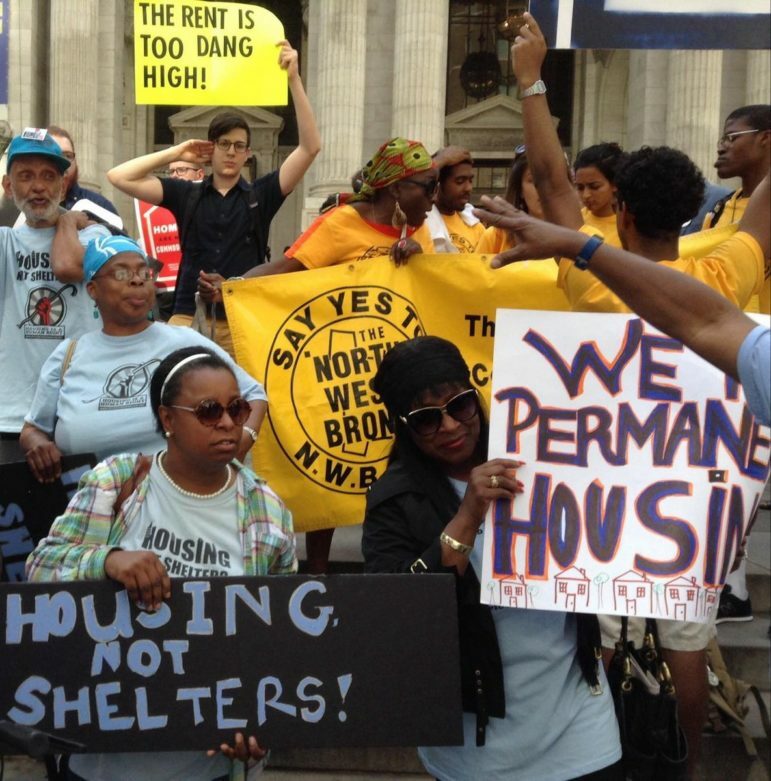 A couple of days before the march, dozens of housing advocates, for-profit and nonprofit developers, tenant advocates and labor union stakeholders created a coalition, Housing Justice for All, demanding an agreement on proposals to reform the state’s rent laws, set to expire on June 15, 2019. Another coalition of tenants, developers and advocates have also united for better rent regulations. The coalition includes Enterprise Community Partners, Legal Aid Society, the New York State Association for Affordable Housing (NYSAFAH), New York Housing Conference, Community Service Society, AARP New York, Association for Neighborhood & Housing Development, DC37, Coalition for the Homeless, VOCAL-NY, Center for NYC Neighborhoods, LISC NYC, Supportive Housing Network of New York, Corporation for Supportive Housing (CSH), LeadingAge New York, LiveOn NY, Housing Rights Initiative and Neighborhood Preservation Coalition of New York State. The coalitions are demanding state leaders to end high-rent vacancy decontrol, restore preferential rent protections, and reform vacancy bonuses, major capital improvements and individual apartment improvements. “Their business model is to displace the tenants who are there and to get more money — that is predatory equity,” said Delsenia Glover,executive director of Tenants and Neighbors, about developers who speculate on real estate. Glover had joined the protest along with other members from her organizations. Marchers made their way through downtown — blocking traffic and pedestrians — to 123 Williams Street. The specific address belongs to the Rent Stabilization Association, a trade association that represents 25,000 property owners in the residential housing industry. Dozens of protestors made their way to the office to place an eviction notice on the office door while hundreds chanted “Oh, the rent is too damn high” outside on the street. Both the major pro-landlord political action committees, the RSA PAC and the Neighborhood Preservation PAC, contributed heavily to campaign committees during the 2018 elections. The RSA PAC contributed an estimated $50,000 to NYS Senate Republican Campaign Committee and $10,000 each towards campaigns for Senate seats upstate and on Long Island. The Neighborhood Preservation PAC contributed over $100,000 dollars towards the Northeast Democratic Club, NYS Senate Republican Committee, the NYS Republican Assembly Campaign Committee and four smaller donations of $10,000 towards campaigns for state senatorial seats in upstate and Long Island. Housing and homelessness advocates said they will continue pushing for more funding in the budget and support on homelessness issues that affect New Yorkers across the state and city. Their optimism is tempered somewhat by experience. Shelly Nortz, Coalition for the Homeless deputy executive director for policy, says, “We have been through this before when the Senate was in the hands of Democrats 10 years ago.” Still, the landscape is different now from the brief period of Democratic control, which was complicated by a budget crisis and marred by an intra-party coup. The Dems now enjoy a 40-23 advantage and have several progressive rookies in the conference. “They have an enormous number of new members,” Nortz says. According to the latest city’s Department of Homeless Service census, there are 60,990 homeless individuals — over 22,000 of them children — in the city’s shelter system. According to DHS, in July the city consolidated several rent subsidy programs including the Living in Communities (LINC I, II, III, IV and V) programs, along with the Special Exit and Prevention Supplement (SEPS), and City Family Eviction Prevention and Exit Plan Supplements into one streamlined system, the Fighting Homelessness & Eviction Prevention Supplement (CityFHEPS) program, a unified rental assistance program that should simplify the process to identify and secure permanent housing units for homeless individuals and families. Homeless advocates say those programs help but have consistently pushed the city to set aside more new affordable units and NYCHA apartments for people looking to get out of the shelters. Meanwhile, those who already are in public housing face debilitating housing conditions. Earlier this month, a federal judge rejected a proposed settlement that would have imposed a monitor to oversee NYCHA and required large amounts of city spending after the country’s largest public housing authority was found to be in a severely deterioration condition characterized by lead paint, broken boilers, mold and rodent infestations. A week later after the federal judge’s decision, the de Blasio administration announced the city would be bring repairs to 62,000 NYCHA housing units through leveraging public and private partnerships through the federal housing program Rental Assistance Demonstration (RAD). The city said the move would address an estimated $13 billion in repairs which include maintenance, ongoing operations renovations such as new kitchens, bathrooms, replacing windows, elevators, boilers and roofs. RAD converts NYCHA apartments into the Section 8 federal housing program then developers lease the buildings to operate as private landlords and collecting subsidies. The program does include tenant protections that prevent developers from converting NYCHA apartments into market-rate units. NYCHA also continues to look at developing what it deems underused land into new housing, some of it 100 percent affordable and some a 50/50 mix of affordable and market rate. It’s almost five years since the de Blasio administration announced its housing plan and intention to rezone over a dozen neighborhoods, which now aim to create 300,000 affordable housing units, across the five boroughs. In Staten Island, the Bay Street Corridor rezoning plan and its environmental impact study was released this month and the plan expects to see a final vote next year in the summer. In Brooklyn, the Bushwick community plan for its rezoning was released in September and Councilmember Antonio Reynoso’s office expects a environmental impact study on the rezoning study area in the spring of next year. 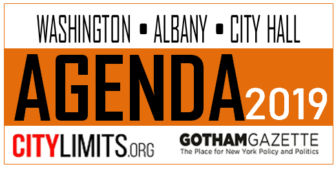 The Gowanus rezoning report and overview was released in June and DCP said the proposed zoning for Gowanus has been scheduled to be released this winter. In Manhattan, the proposed Two Bridges skyscrapers, which have triggered intense opposition and scrutiny of the way the city manages a particular set of land-use regulations, could also see definitive action in 2019, although the timeline for the vote on the Two Bridges application has not been finalized. In the Bronx, for the Southern Boulevard Study — centered around the Sheridan Expressway — DCP has been meeting with community members during planning workshops. After those workshops, there are plans for an open house in the spring focused on shaping draft strategies with outreach opportunities throughout the process for community input that will eventually shape the plan. Tentatively, DCP is aiming to release draft strategies in the second quarter of 2019. It is too early to say whether and when a formal rezoning proposal would enter the environmental review process or land-use review procedure. The City Council Charter Revision Commission, with 15 members, has received a bevy of proposals for how to make the land-use process more inclusive. The Commission has already held a few public hearings and is scheduled to hold a vote on specific issues it will move forward; then another round of public hearings will be conducted. It is expected to hand in its final proposal report in the fall of next year. Meanwhile, a key court case about the use of community preference in affordable housing deals, efforts to revise the city’s property tax system and the city’s fair-housing assessment could also shape the housing-policy storyline in 2019.